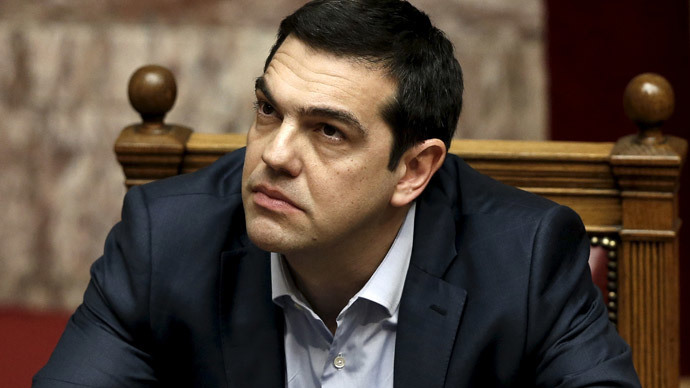 "I think that by the 9th of May we will have an agreement," that will unlock some bailout funds, Tsipras said in a marathon interview with Star TV that aired late Monday evening. "Our priority is our responsibility towards society, it is [paying] pensions and salaries,” the Prime Minister said. Greece has openly discussed the possibility of defaulting on its credit, but most analysts believe this is a scare tactic, and that Greece does indeed want to find a way to unlock more money in bailouts from the EU. Greece has several payments due in the next few months. The full schedule is below. On any given day, the amount of these payments slightly changes. They are denominated in Special Drawing Rights (SDRs), an artificial currency created by the IMF that the institution uses to give out extra funds. Its exchange rate is pegged to a US dollar–denominated value of a currency basket comprised of the greenback, the euro, the Japanese yen and the British pound. The Prime Minister dispelled the rumor of holding early elections to replace his government, but didn’t rule out holding a referendum on the issue. "If I end up having an agreement that puts me outside the limits [of my mandate], I will have no other resort," he said. "The people will decide — obviously without elections, I want to make that clear." Since the Syriza party won elections in January on the promise to renegotiate the country’s €316 billion debt, it has made little progress with its EU creditors. EU ministers have not had very kind words for either Tsipras or Finance Minister Yanis Varoufakis, who was reportedly mocked at last Friday’s Riga talks, where the two sides were supposed to have settled on a framework agreement for the new terms of Greece’s loan. On Monday it was reported that Financial Relations Minister Euclid Tsakalotos will take the lead in negotiations with EU ministers. Like Varoufakis, he has an academic background and held a position at the University of Athens. Tsipras defended Varoufakis in the interview, even though he came back from talks in Riga empty handed, and was sidelined from negotiations Monday. Tsipras insisted that Varoufakis was still the point person on negotiations. Greece made a €448 million payment to the IMF on April 9, on schedule. The bailout will help Greece’s struggling economy live through several debt repayments due over the course of the next two months.